It is far behind the time when, in order to enjoy a historical and cultural experience, it was necessary to visit a museum or to buy a guide to check the information about the monuments and historical buildings in a city. Despite the importance of these institutions and options, the technology allows the expansion of the concept one step further, and the cities itself can be considered open air museums. The spread and importance of mobile devices, as smartphones, on everyday activities is well known. It is possible to list several features that allows people to navigate and access context-aware information, such as GPS, QR code scanners, augmented reality (AR), just to mention a few. But the combination of augmented reality and cultural heritage content it is still not clear, from the effectiveness perspective. 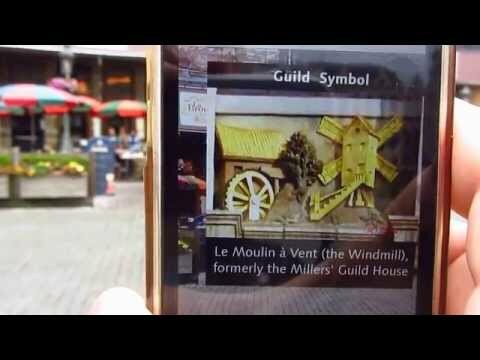 Some apps are already displaying touristic information using AR, such as Wikitude, Tripwolf, Junaio and others. With the Wizart CMS Tool, which combines different media files (audio, video, 3d, text, links, etc) elements with Junaio, it is possible to use AR to achieve cultural information, creating a different approach on current AR apps, which could lead for interesting investigations. One possibility, among others, is the use of iconographic elements (combining comics characters, icons and text) that would trigger the information according to the proximity of the user, based on GPS location. 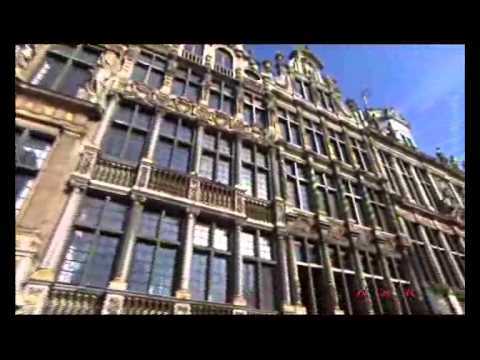 The target content for this project is one of the official World Heritage Sites from UNESCO, placed in Brussels: the "La Grand-Place" (http://whc.unesco.org/en/list/857). This project aims to explore new tools and ways to present historical content for mobile users. 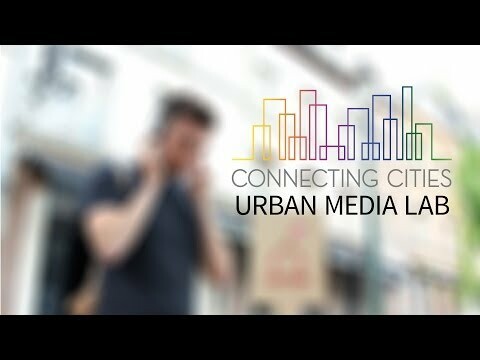 The Wizart CMS Tool combined with the “Connecting Cities Urban Media Lab” seems to be an ideal scenario to experiment cultural content using AR, being a perfect opportunity to go beyond, towards something more pragmatic, and where it is possible to empirically validate some of the developed propositions, offering a unique opportunity to analyze the use of AR and Cultural Heritage content. This project is part of cultural hARitage project, which combines Augmented Reality and Cultural Heritage content and have been developed in different cities & countries with the WizARt CMS Tool. This project was developed using the WizARt CMS Tool. 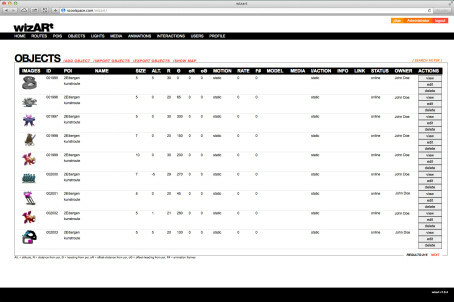 Wizart consists of an intuitive web-based CMS and a Junaio channel with which the AR can be experienced. With the CMS users can upload images, 3D models, audio and even video to be displaced somewhere in augmented space. These can be further enhanced by adding all kinds of animations and realtime lighting. 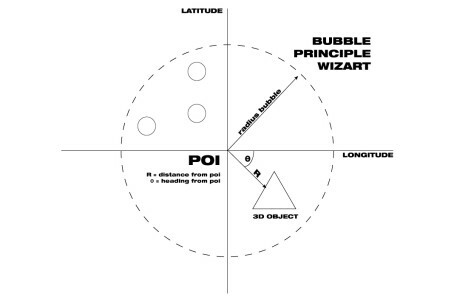 AR objects are placed in Wizart according to the bubble principle. A bubble is defined at a GPS location via the CMS. Once a viewer enters the bubble all objects that are attached to that bubble are displayed. The objects are unloaded when the viewer leaves the bubble again. This principle provides a robust way of experiencing AR and enables almost endless content. Among the more advanced features of Wizart are built-in routes, dynamic lightning, stop motion animation, multi-user asset management, realtime sockets connection, multiple file uploads, powerful search functions. Furthermore, you can build and test individual pois or objects from anywhere with anybody. Wizart is running on a LAMP platform with a node.js server in parallel for realtime interactions, and using Junaio as the primary AR browser. Junaio is available on iOS and Android, for mobile phones and tablets. The available information is divided in several media types, categorized as: audio, text, video, comics and link (to external content). The idea was to get historical - and official - information regarding the Grand-Place, but also to show how the Grand-Place is portrayed on other media, such as comics and twitter. The 12 selected media files were placed in 3 different POI (Point of Interest) spread in the square, positioned next to the content relation (when possible - as the audios about the Guilds and City Hall, for instance). Each medium has a different avatar to trigger the information. The original concept was using media icons for this purpose. 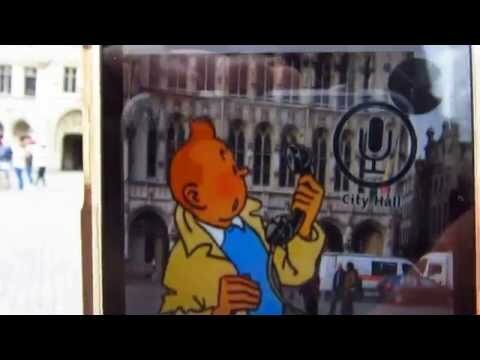 Later on, considering that the Belgium is well known by its comics production, it was tested one of their most famous comics character: Tintin, as showed in the videos bellow. Bur even considering this project as an academic/artistic and temporary experiment, it was understood that the use of such copyright character should be respected. So on the final version another comics-style character was specially created for this avatar purposes: an comics version of Charles of Lorraine, the founder of Brussels. For each medium type, there is an action related from Charles of Lorraine, as illustrated bellow. On the AR application, was added the label of the file, in order to give an immediate feedback for the user (as illustraded in the apendix). On each avatar was followed the concept of finding the comics character in a action related to the media (for instance, on telephone for "audio"), plus an icon of the medium (as mentioned and illustrated before) with a text label indicating the file purpose. In this way the user can control of what will be triggered, according to their own choices.